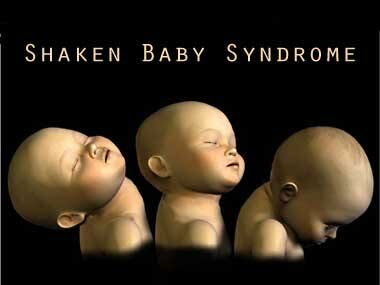 Washington : A team of scientists has come up with a new medical test that may help identify infants who may have had bleeding of the brain as a result of abusive head trauma, sometimes referred to as shaken baby syndrome. Developed by the researchers at Children’s Hospital of Pittsburgh of UPMC and University of Pittsburgh School of Medicine, the serum-based test, which needs to be validated in a larger population and receive regulatory approval before being used in clinical practice, would be the first of its kind to be used to detect acute intracranial hemorrhage or bleeding of the brain. Infants who test positive would then have further evaluation via brain imaging to determine the source of the bleeding. “Abusive head trauma (AHT) is the leading cause of death from traumatic brain injury in infants and the leading cause of death from physical abuse in the United States,” said senior author Rachel Berger. The researchers collaborated with Axela, a Canadian molecular diagnostics company, to develop a sensitive test that could reduce the chances of a missed diagnosis by using a combination of three bio markers along with a measure of the patient’s level of hemoglobin, the protein that carries oxygen in blood. Axela’s automated testing system allowed the researchers to measure multiple biomarkers simultaneously using an extremely small amount of blood, an important characteristic of a test designed to be used in infants. The test correctly detected acute intracranial hemorrhage because of abusive head trauma approximately 90 percent of the time, a much higher rate than the sensitivity of clinical judgement, which is approximately 70 percent. The specificity of the test or the ability to correctly identify an infant without bleeding of the brain who would not require further evaluation was 48 percent. The researchers aimed for the test to be highly sensitive rather than maximizing accuracy, since missing a diagnosis has more serious consequences than performing brain imaging in babies without the condition. “This study illustrates the benefits of being able to perform highly sensitive tests at the point of care,” said co-author Paul Smith. The science behind the test is described in JAMA Pediatrics.